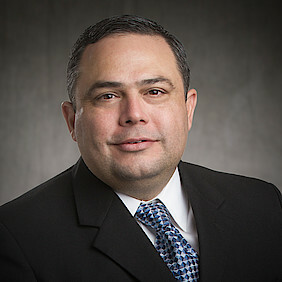 Manassas, VA – June 29, 2018 ZESTRON, the globally leading provider of high precision cleaning products, services and training solutions in the electronics manufacturing and semiconductor industries, is pleased to announce the addition of Raul Silva as the new North Mexico Regional Sales Manager. “Mr. Silva’s technical experience and management skills will be essential to supporting our growing customer base in North Mexico,” says Sal Sparacino, Sales and Marketing Manager, ZESTRON Americas. As the North Mexico Regional Sales Manager, Mr. Silva is responsible for managing sales within Northern Mexico. “I am excited to join ZESTRON, a global technology leader in the electronics cleaning industry. I look forward to contributing to the sales growth of the North Mexico Territory by leveraging the company’s capabilities with the help of our sales, engineering team and distribution network,” said Mr. Silva. Mr. Silva joins ZESTRON with thirteen years’ of technical sales experience in customer support, account development and management. He received his bachelor’s degree in Business Administration from the University of Texas at Pan American.